1001 buildings you (maybe) must see before you die! On a whim, I picked up this tome at Half Price Books on Thursday. 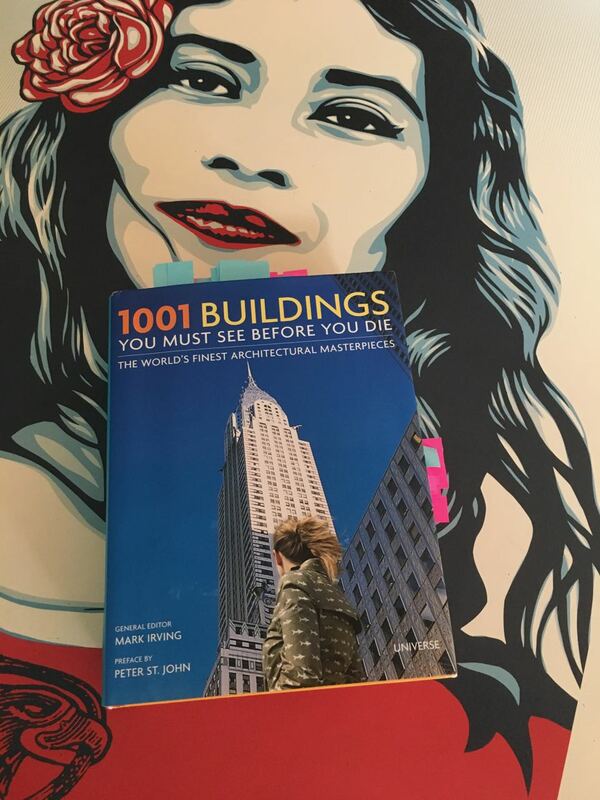 This thick guide lists (ahem) 1001 buildings to see before you leave this mortal coil. I didn't count to verify, so I'll take the editor's word that there are, indeed, 1001 buildings listed in here. The structures date from the Newgrange Burial Chamber in Ireland from 3200 BC up to Herzog and de Meuron's Beijing National Stadium (known to the locals as 'The Bird's Nest') in 2008. 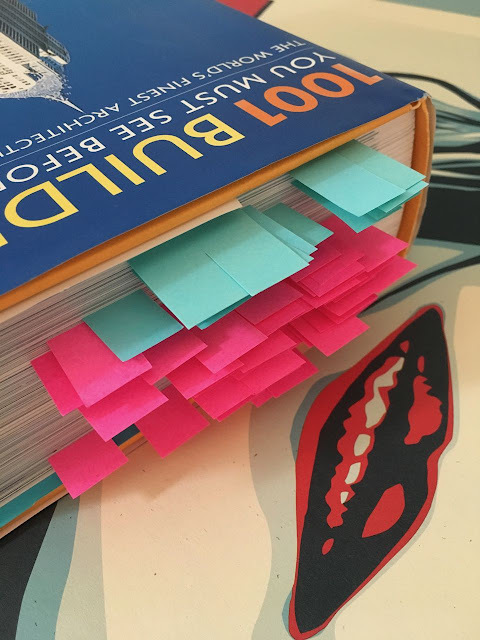 After flipping through its ample pages, I determined that we've seen 54 of the 1001 buildings. So we've got some work to do (although it will not be our life's goal to see all of these since some choices are questionable and others are in locations that are risky to life and limb). I was happy that an R.M. 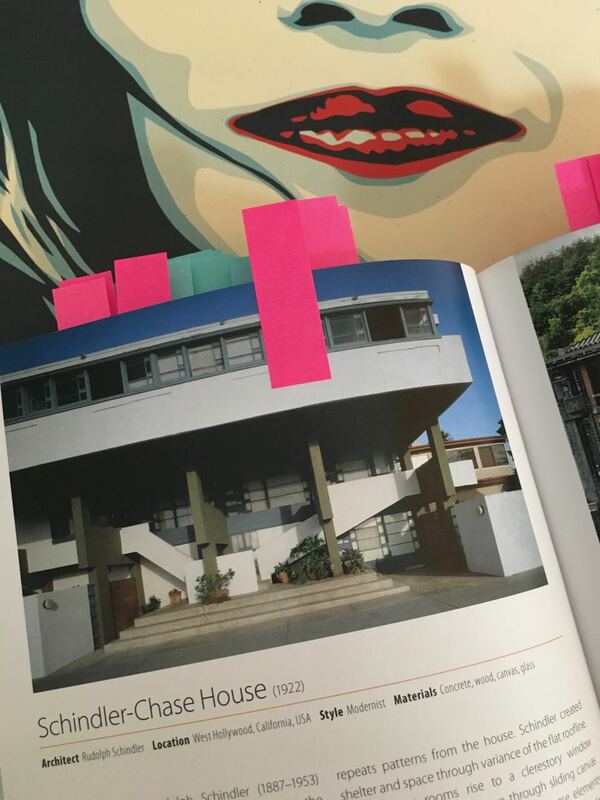 Schindler made the cut (the Schindler-Chace House), but horrified that the authors included a photo of the Lovell Beach House instead. At first I thought perhaps it was a printing error that mixed up the photos from a later listing of the beach house; however, this is the sole Schindler listing. As the bride helpfully pointed out: Can you really trust an architectural book that doesn't know the difference between the two houses? Good point. Great photo of the Beach House, though. At the very least, the book will be helpful in putting together viewlists for various trips we may or may not take.